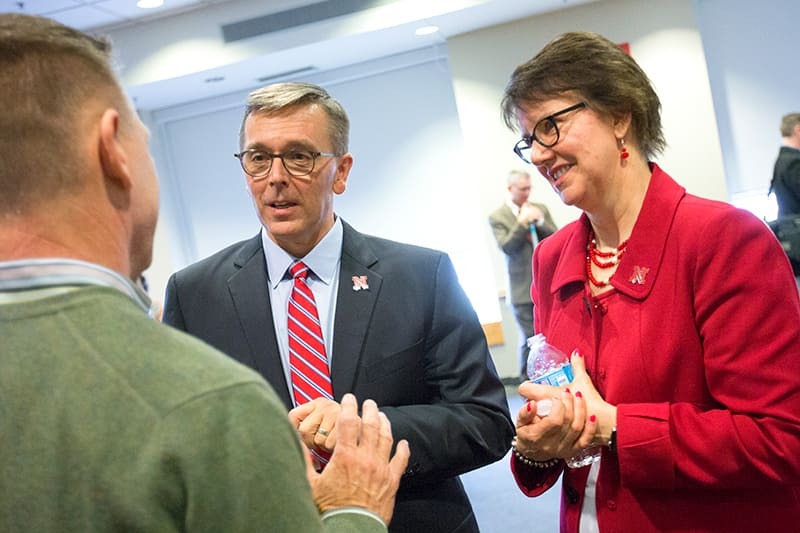 I consider it a privilege and great opportunity to participate in as many events as possible across and related to our great UNL mission and family. Thank you for your interest, and we will do our very best to accommodate your request. To give you, me, and our phenomenal staff the best chance to meet your request, please complete the simple form below as soon as your event planning allows. And where appropriate, please consider extending an invitation to my best friend and life partner, Jane. Thanks in advance. Include time for reception and dinner if applicable. Is the date/time flexible? If so, please tell us how. Please let us know if working media (as distinct from other guests who are media professionals) will be in attendance, and the highest level at which they operate. Please indicate if you’d like Dr. Green to speak on a current topic, or if you’d rather leave the topic up to his discretion. Help us understand the audience: number of participants expected, key demographics, interests and values, and any other information you’d like us to know. Help us understand other speakers and/or participants: number of speakers expected, professions represented, industries represented, etc. Please give us any additional information that you think it’s important we know. Do you have posters, brochures or other documents? Please upload any brochures or documents that may help us understand the event. PDF format preferred.